Macleod Preschool is located in a beautiful setting in the heart of Macleod Village. 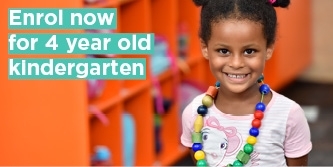 We provide three and four-year-old kindergarten programs in a safe and secure environment where children can express themselves, celebrate diversity and enjoy kindergarten. Our program offers children the opportunity to grow and develop through play – the way children learn best. Our educators have created flexible educational programs and exciting activities based on each child's needs and interests. Our play-based learning programs cater to all children, with the goal of promoting individuality while enabling them to become part of a group. Although our programs are developed to best assist your child in preparing for their transition to school, they still encourage children to be children. Our dedicated and professional educators help each child develop their emotional, social, spiritual, mental, environmental and physical wellbeing. We offer a variety of activities that encourage children to express themselves through language, art and imaginative play. Macleod Preschool has been rated as Exceeding National Quality Standard. Information about the National Quality Standard. At Macleod Preschool we have a large, natural environment that is the perfect space for children to explore and engage in plenty of adventures. We encourage children to respect and care for their environment. This is important to us, and we believe that environmental awareness should start at a young age. 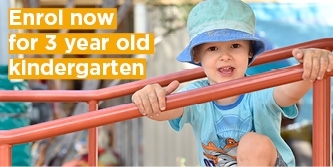 Our preschool provides children with a variety of indoor and outdoor activities. Our indoor spaces are large, well lit and inviting.